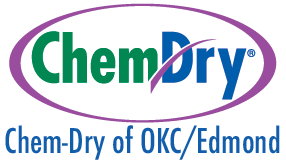 Find out how Chem-Dry of OKC/Edmond can make your home a healthier place. Your home is full of allergens and bacteria. However, your carpets and upholstery work to trap these harmful particles out of the air. Oddly enough, this process is important for your home health and indoor air quality. For the 1 in 5 Americans (roughly 60 million) that have allergies or asthma, removal of airborne allergens and other molecules is especially important. The result is a home that is cleaner and fresher for you and your family, but bacteria and allergen filled carpets and furniture. When your carpets and furniture get too dirty, they can no longer effectively filter your air. That’s where Chem-Dry of OKC/Edmond comes in! We know that you want the healthiest possible home for your family, especially when asthma or other health concerns are in consideration. Chem-Dry wants the best for your home too. That’s why we had an independent air quality lab test Chem-Dry’s cleaning methods and report on the results. The study tested our innovative Hot Carbonated Extraction (HCE) carpet and upholstery cleaning method. We not only tested allergen and bacteria removal in our carpet cleaning, but also our upholstery cleaning and our Pet Urine Removal Treatment (P.U.R.T.®). A cross-section of various homes throughout the U.S. and the rest of the world were used for the study. Chem-Dry removes 97.4% of allergens from carpets. It was consistently found that 99% of allergens were removed from upholstery. Additionally, we remove 89% of airborne bacteria in the home and significantly improve indoor air quality. This test incorporated the addition of a sanitizer to the cleaning process. Chem-Dry’s Pet Urine Removal treatment is 99.9% effective on average at eliminating pet urine odors. Indoor air quality is especially important to those who suffer from allergies or disorders like asthma, but it impacts all of us. Too many allergens in the air make it hard to breathe and can prompt an allergic reaction or asthma attack in prone individuals. If you think that indoor air quality doesn’t affect you, consider that, on average, people spend 90% of their time indoors. That’s why it’s so important to have good indoor air quality. It turns out that one of the best ways to control air quality is keeping your carpets clean. Professional carpet cleaning is so important for the health of your home and your family. However, not all carpet cleaning services are alike. This is what makes Chem-Dry of OKC/Edmond so much more effective than other Oklahoma City carpet cleaners. Our independent Home Health Study found that Chem-Dry’s Hot Carbonating Extraction (HCE) removed an average of 98% of common household allergens from both carpets and upholstery in multiple homes. Try to find another local carpet cleaner that has put so much time and money into research and product improvement to ensure your home is drier, cleaner, and healthier.